“So it begins” Father Anthony points out, not only the show starting, but he and Tony first discuss that Holy Week is beginning soon, so once again the Two Tony’s share how they were getting things ready around at Saint Stanislaus Kostka and everywhere. From this, Father Anthony also points out how it’s been non-stop with so much to prepare, including having Cristina’s parents help out with things. 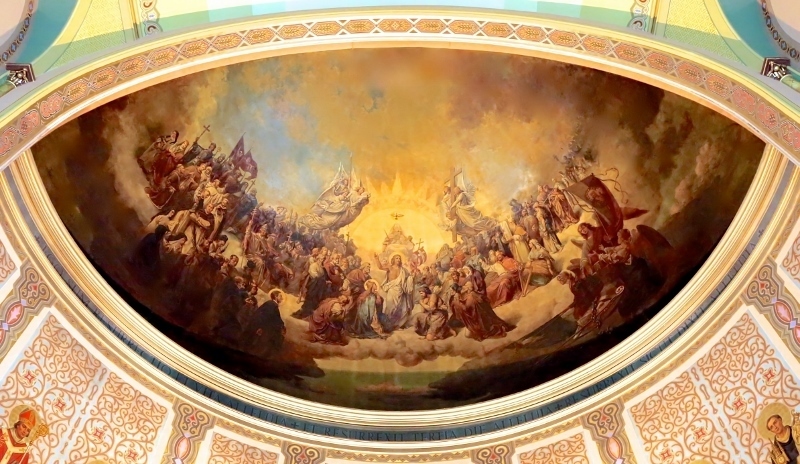 The Two Tony’s also share how the Saint Stanislaus Kostka Mural is finishing up and they are excited to show it to the public soon. Another thing Father Anthony shares is how he learned a new language and he talks about how it can be not easy at times, but it helps out with communicating with other people and that it’s a gift of some kind as well. The Two Tony’s also share the things about Holy Week that they find interesting and fascinating. Father Anthony also shares the words of former Pope Benedict on some things going on within the church too.